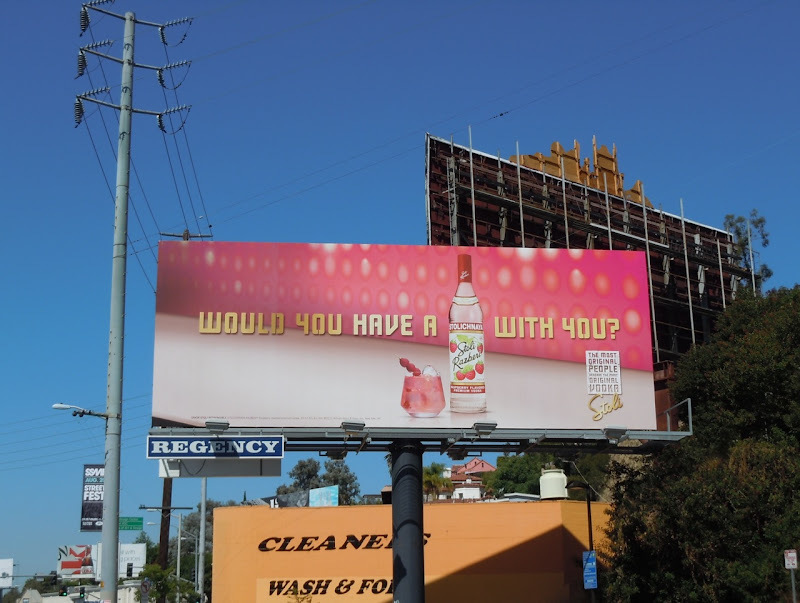 Would you have a drink with you? 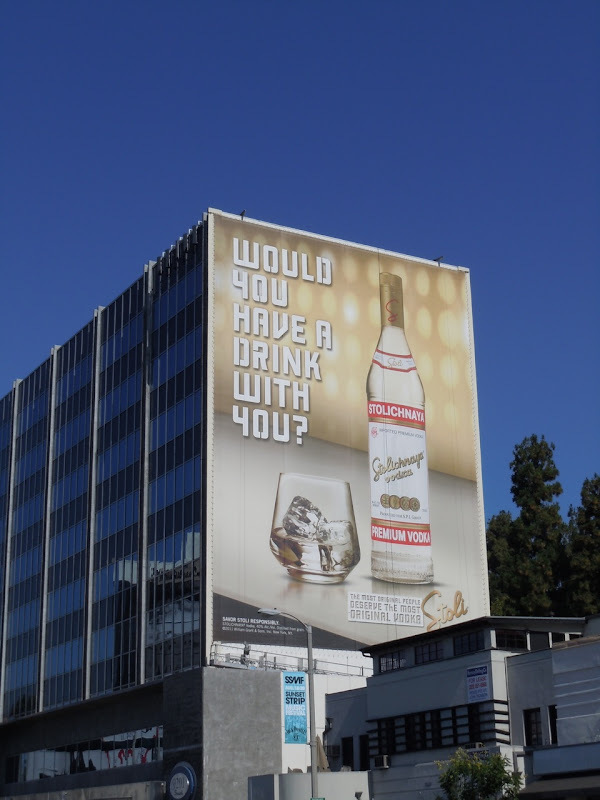 That's the intriguing question posed by the infamous Stolichnaya Vodka brand. 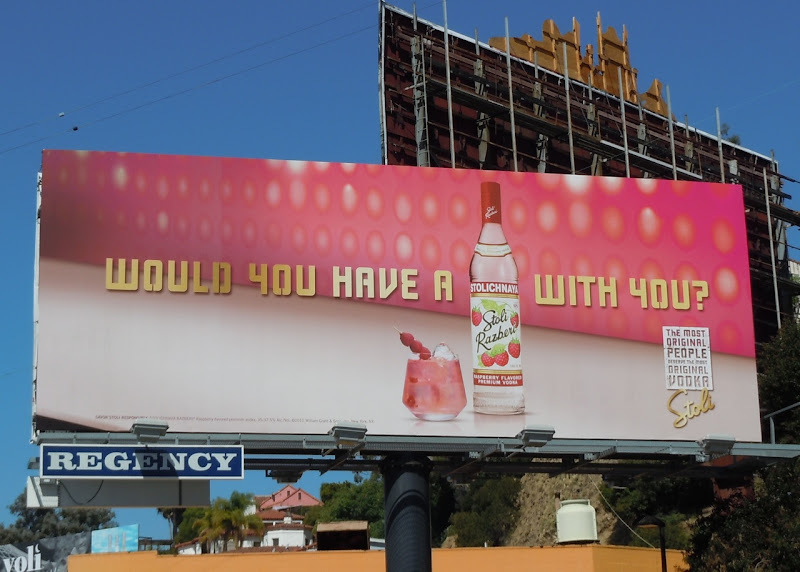 And if you did, would it be on the rocks or part of a fruity cocktail. Decisions, decisions. 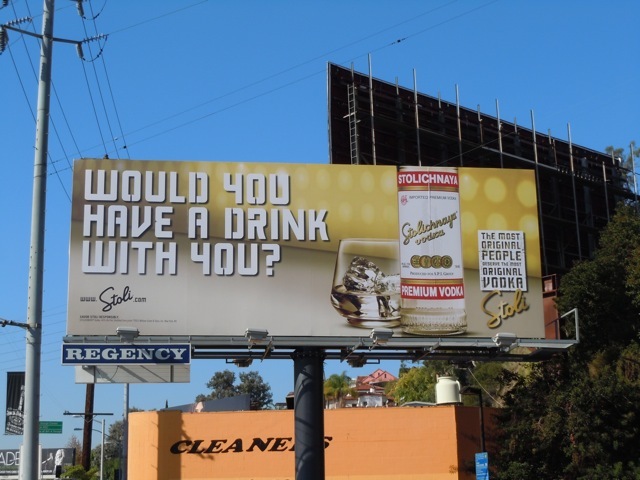 These two playful and colourful Stoli Vodka billboards were snapped along Sunset Boulevard on July 17 and 26, 2011 respectively. 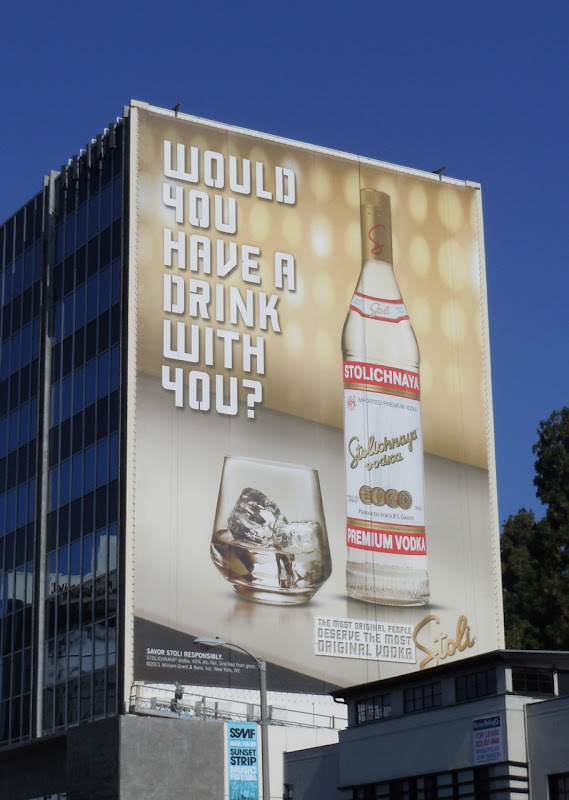 If Stoli is not your favourite, be sure to also check out these Svedka Vodka billboards, Skyy Vodka ads and Belvedere Vodka billboards. 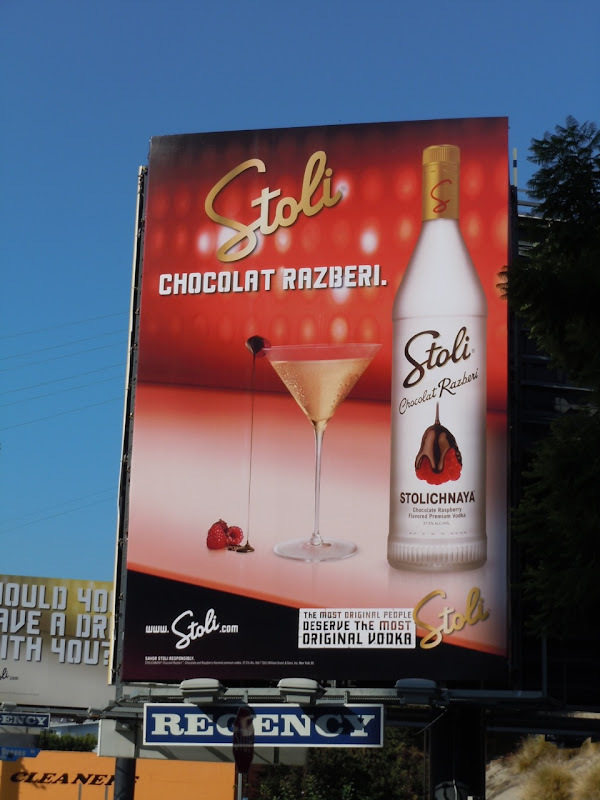 UPDATED: Here's another iteration in this campaign, this time for Stoli's indulgent Chocolat Razberi variant snapped on September 8, 2011. 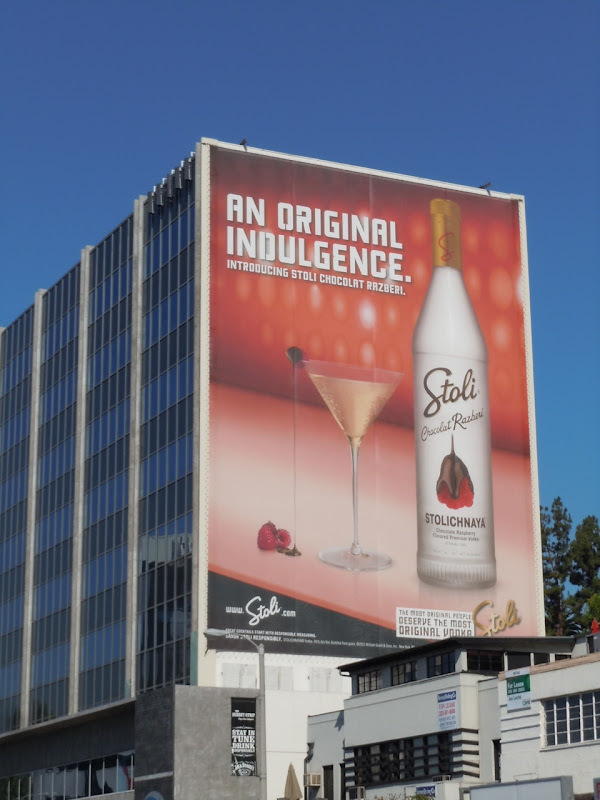 UPATED: With party season fast approaching these two billboards for Stoli Vodka have popped up close to each other along Sunset Boulevard. 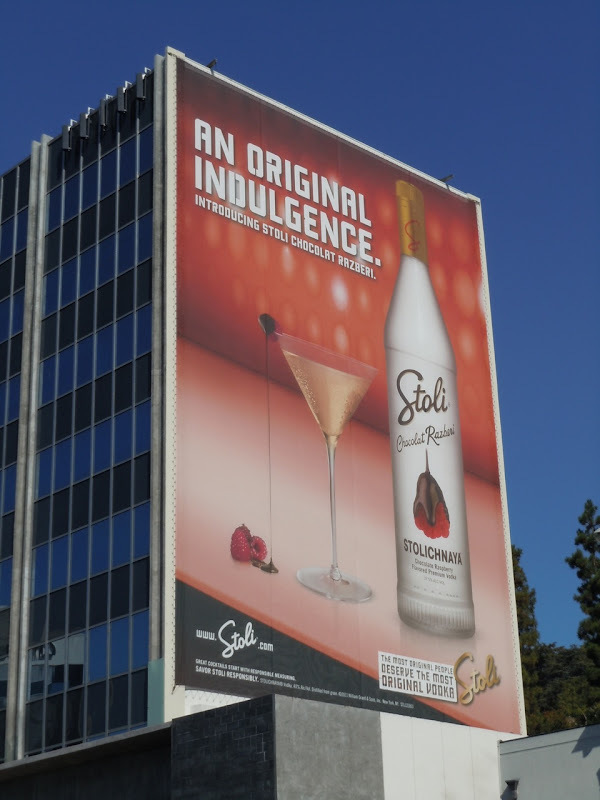 These billboards for original Stoli Vodka and the Chocolat Razberi variant were snapped on November 14, 2011.